oooh, i love the Message's version of these verses! i must share this with my kiddos. what a beautiful reminder, each and every day. i'm excited to read your thoughts on proverbs this month! Hi Stacy - I love the new look. I so agree with you on the natural tones. this is lovely. 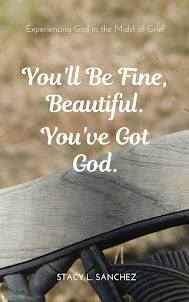 And your post today, awesome, only God. We need cling only to that if necessary and the rest will follow. I am running to God...He is all I know for sure!